All students will learn, "All Through the Night" and "Edelweiss." 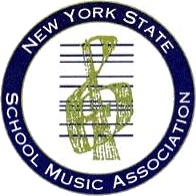 Students will work both individually and in small groups to help perfect their performance in time for the NYSSMA Audition. Students will also need to purchase an original copy of the music that they are performing. Students will learn both pieces and decide which piece they want to perform. You may purchase the musically locally at a Music Store or you may purchase it online.